Some 139 stations have been closed – 36 of these have been sold. A protest at Stepaside Garda Station, Dublin in 2013. SOME 139 GARDA stations have been closed in recent years. In late December it emerged the government has spent €846,560 to date maintaining closed Garda stations throughout the country – an average of €7,000 per property per year. Just over €2.5 million has been generated from the sale of closed Garda stations, and direct savings of €556,000 per year have been made through the closure of the stations under the Garda District and Station Rationalisation Programme. Last month, a Garda Inspectorate report criticised the lack of community gardaí, saying too many officers are sitting behind desks. Changing Policing in Ireland found that around 1,500 extra gardaí could be put on the streets if the force made better use of officers. Many people link the closure of Garda stations, particularly in rural areas, to a rise in crimes such as burglaries – with almost 2,000 extra burglary offences taking place in the first nine months of 2015. Figures released by the Central Statistics Office (CSO) earlier this month show that 28,407 burglaries and related offences were committed in the first nine months of this year, a 6% increase on the 26,747 recorded during the same period in 2014. Justice Minister Frances Fitzgerald has defended the closure programme, previously noting that it “supports the provision of a modern 21st century policing service for both urban and rural areas”. Email “Here's a breakdown of the Garda station sales that have made €2.5m ”. 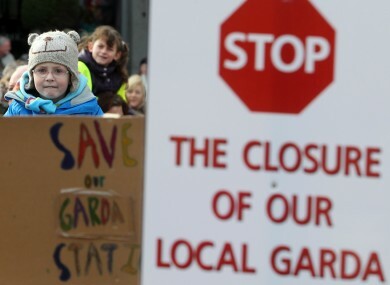 Feedback on “Here's a breakdown of the Garda station sales that have made €2.5m ”.